This MTD 30 inch 3-in-1 lawn tractor blade set fits 30 inch single blade rear engine riders (2011 - present). 3-in-1 performance allows users to mulch better, bag more, and last longer. This blade has a star centre hole and is for MTD, MTD Gold, Yard Machines, Yard-Man, Troy-Bilt, Bolens, and White Outdoor lawn mowers. Replacement brush cutting blade. 8 inch steel reversible brush blade for clearing thick brush and undergrowth.. 4-edged hardened steel blade can be flipped to double the life of the blade. Fits Troy-Bilt, MTD, Yard Machines, Yard-Man, Bolens, and Remington. Replaces MTD OE # 791-145873B. 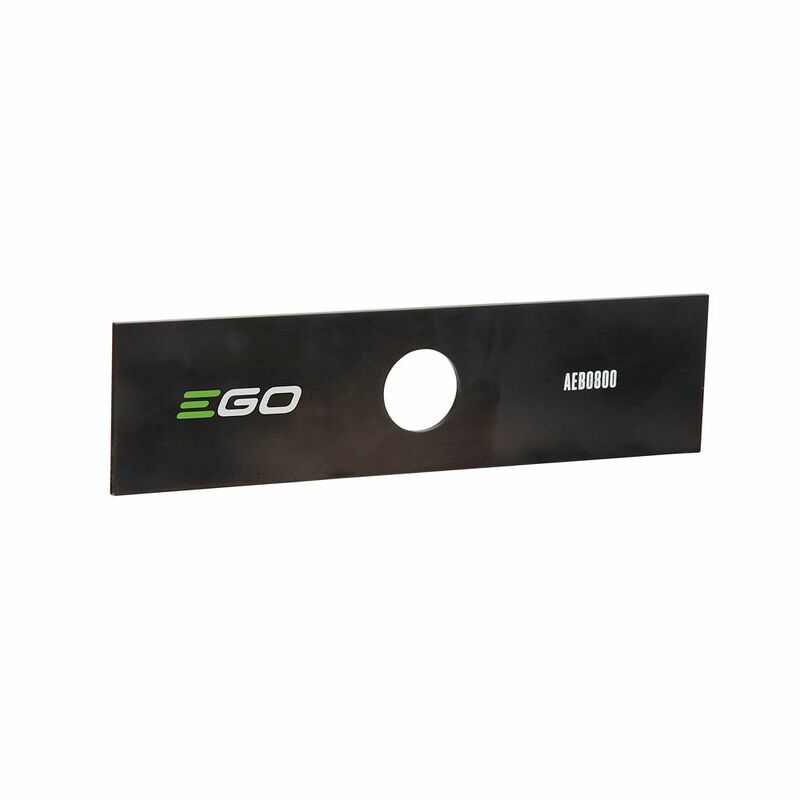 8-inch Power Head System Edger Blade The EGO Power Head Edger delivers the power to cut and features a depth control wheel for greater precision. This premium edger blade is great for edging driveways, sidewalks, flower beds and borders. Maintain a clean and precise yard with the EGO Power Head Edger. EGO parts are designed specifically for your EGO POWER+ Power Head System and offer the highest quality, performance and value. The EGO Power Head Edger delivers the power to cut and features a depth control wheel for greater precision. This premium edger blade is great for edging driveways, sidewalks, flower beds and borders. Maintain a clean and precise yard with the EGO Power Head Edger. EGO parts are designed specifically for your EGO POWER+ Power Head System and offer the highest quality, performance and value. 8-inch Power Head System Edger Blade is rated 4.5 out of 5 by 14. Rated 2 out of 5 by none from While the blade is fine. I think it is a real jerk move by EGO for two reasons. The instruction ... While the blade is fine. I think it is a real jerk move by EGO for two reasons. The instruction says to remove cotter pin re assemble and install a new cotter pin. Not only does the product description inform you that you will need this part as well to complete the blade replacement it does not mention it on the product box either. It also does not say what size in the instruction manual either. If this 10 cent part is need to complete the install why is it not included with a 9.50 blade. Seriously how many consumers are that use their edger are going to have assorted cotter pin just lying around the their home. Rated 4 out of 5 by HomeDepotCustomer from It works very good, but not on edging that has... It works very good, but not on edging that has gone as long as 4 years or more, the thickness of the dirt is built up so that the wheel is not level on the ground and does not work good for that. Rated 5 out of 5 by Jim from Easy to assemble.... Easy to assemble. Rated 5 out of 5 by JCINKT from Just what I needed - Handles St Augustine well, and... Just what I needed - Handles St Augustine well, and in half the time I was spending with a string trimmer. Our corner lot has lots of edging, and the battery lasts with room to spare.